Winter gloves that offers incredible feel through the palm. 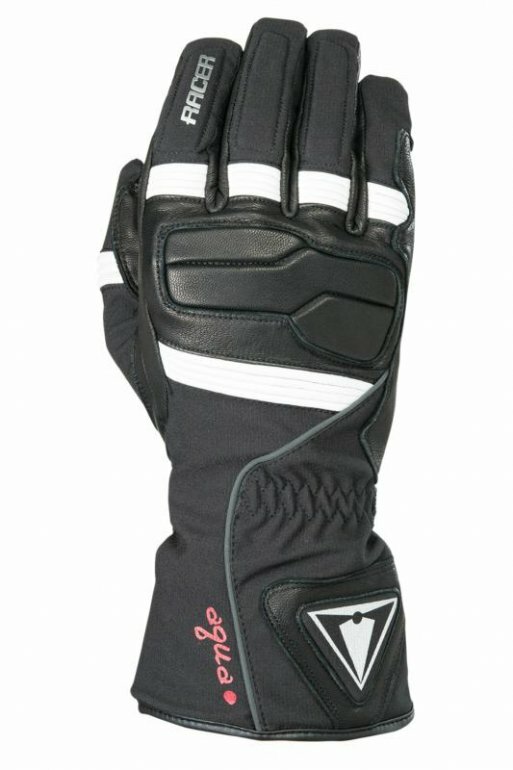 The back of the glove is lined with insulation and RACER’s membrane and the palm is lined with just a membrane making it the perfect glove for heated grips. A mixture of leather and textile with carbon protection on the knuckles and palm give the glove a sporty look. The Race Carbon also features a drawstring cuff for added weather protection. Constructed for a comfortable grip feeling. Also perfect for cool autumn days, even without heated handle grips.